You can view our current issue online by clicking the cover below. Welcome to the online edition of the Tri-Country Real Estate Magazine. This site contains an online version of our magazine and links to advertisers' websites. You can view the current issue by clicking the cover to the left under the "Current Issue" heading. 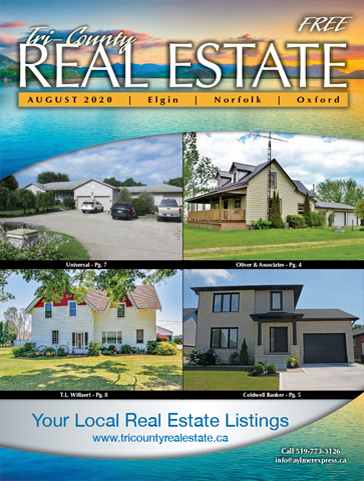 You can view back issues of the Tri-Country Real Estate Magazine by clicking the "Back Issues" link located in the menu above. If you would like information on advertising such as deadlines click the "Advertising" link located in the menu above. Our online viewer has the following features. Share publication via email, facebook or twitter. Download a pdf copy of the publication for offline viewing. Print publication or pages that interest you. Visit an advertisers website by clicking the url in their advertisement. Mobile device support such as ipad and iphone. Page flip view or single page view.